It’s time for another weekly round-up where we share (what we see as) the most interesting and important articles from the previous seven days. Apologies that this is going up slightly late so it’s more of a ‘mid-week’ round-up! We’d love to hear your thoughts on any of the issues covered in the articles we’ve picked. From the article: “Ms Williams, a governor of a nearby children’s centre, started the Magpie Project after noticing so few of the mums in temporary accommodation locally were accessing their services. They weren’t able to engage with the children’s centre because their most basic needs weren’t being met, Ms Williams says. Among these needs, she says, are ‘having somewhere to cook, being able to keep themselves and their children clean, feeling safe, and also just having the information or being mentally and emotionally well enough to be able to get through the door at this children’s centre’. The image is used under a creative commons license with thanks to Anita on Flickr. 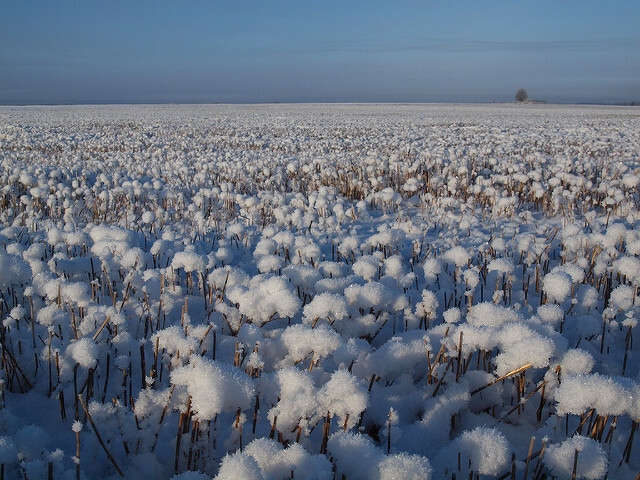 It is a photograph of a ‘winter landscape’ and shows a field covered in softly fallen snow.